Last week I was finished my new sword-Santa Casilda.Blade is bloomery steel,partially hardened,fittings are gilded. This is fantastic Robert. Your treatment of the bloomery steel has such class and the details in your fittings are amazing. It's work like this that keeps me going.. because I realize I'm nowhere close to where I want to be which keeps up the drive and prevents the stagnation of boredom. beautiful blade man, what's the spec of the steel though? Wow.... Just wow... That is fantastic. Absolutely beautiful. The sword is great, and I love the scabbard. 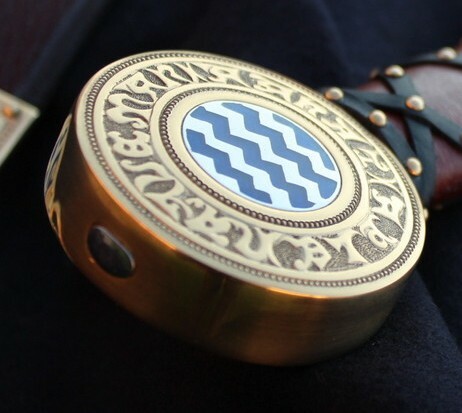 Could not resist adding a close up of the pommel. Would be a shame not to enjoy a closer view, shows how carefully crafted the details are. Simply stunning. That is a remarkable sword. Well done! 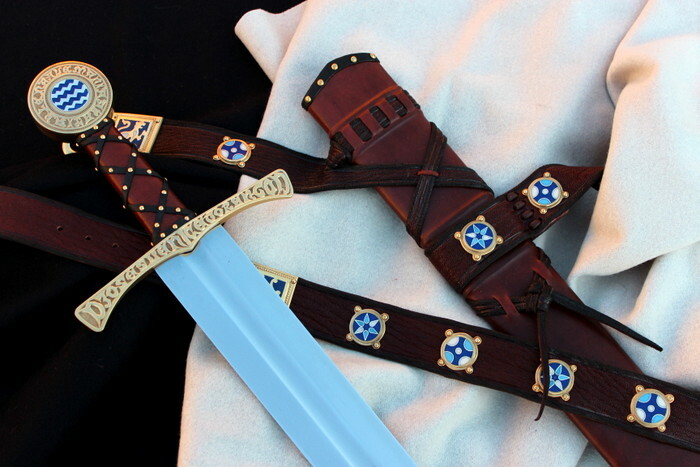 The belt fittings are well matched to the sword. Great work all around! Now THAT'S a sword!!! Well done as always Robert! The Santa Casilda sword has always bee one I've wanted to see a repro of and I'm really glad I get to now! The scabbard is just great, I love the enamel bits. Whoever this sword is going to is one lucky guy! Now that is a nice sword. It is good to see what a high-quality reproduction of this sword can look like. Thank you for sharing this with us. 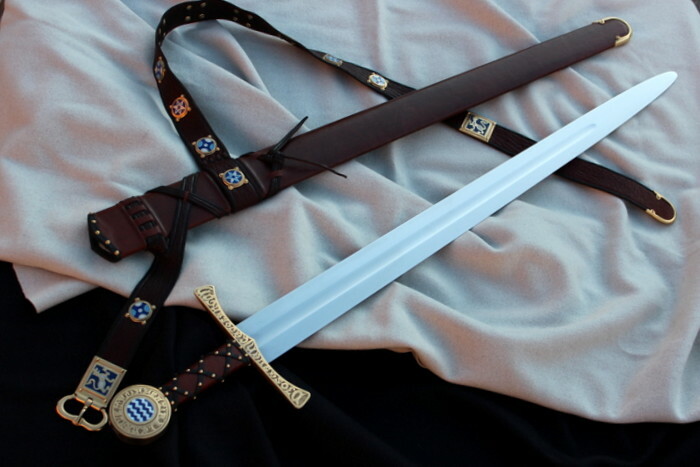 It is posts like this that makes me look more and more toward having a custom sword made. It is beautiful. As usual fantastic effort just amazing cant wait to see what you are up to next we all love to see your eye candy. Stunning! I covet this sword very much! I believe this sword is just "slightly" nicer than the MRL version.